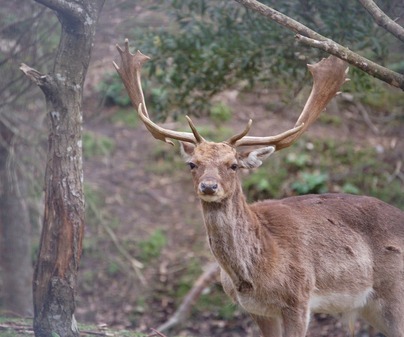 This species has an intermediate size between deer and roe deer, with weights between 50 and 70 among bucks and from 30 to 60 kilos among does. The antlers have eye tine, trez tine and shovel –instead of stalk- of huge size. 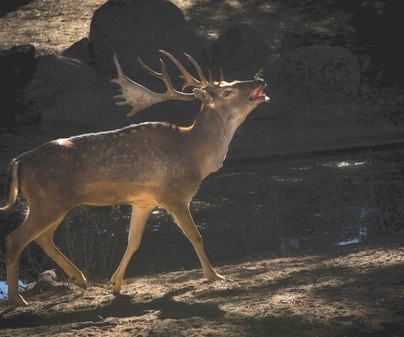 They reach their fullness when the animal is ten years old, showing two stalks during the first year and developing tines when it is between four and five years old. 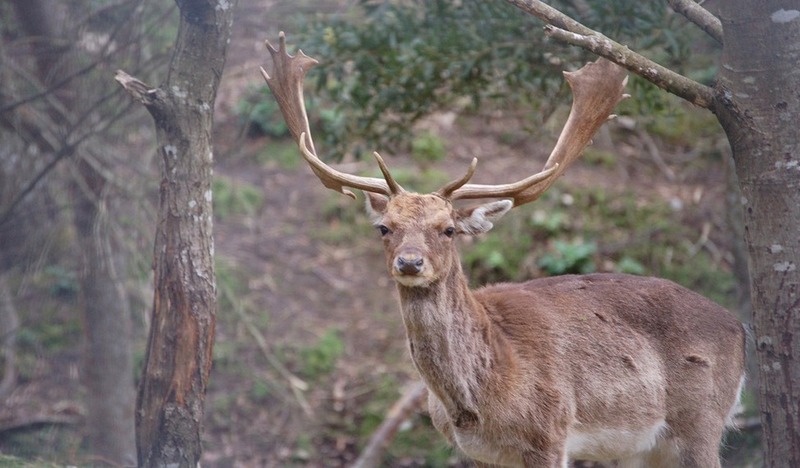 In the fallow deer trophy you have to distinguish shovel, antler and eye tine. 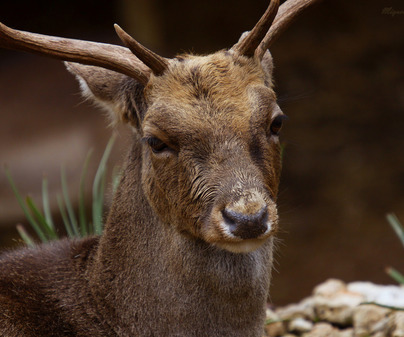 The eye tine is a point protruding forward at the end of the antler. Above it, the antler becomes flat and wide; it is the part known as shovel. The antler scores according to the span -the distance between shovels-, the eye tine length, and the shovel width and length. The weight, the beauty based on their shade tending towards brown or black, and tine number and conditions at the shovel, also rise the score. Being a species introduced in the Peninsula since the 15thcentury, it is very scattered. It is more abundant in closed estates devoted to hunting exploitation. Follow deer hunting goes from October to March. Spot and stalk modality is the preferred one to shoot down big bucks during the rutting or "ronca" season –referring to the rutting call. It is also shot down in beating and game hunting.